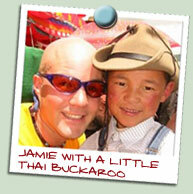 On April 22, 2002 Jamie and his best friend Garryck set off on an around the world cycling adventure. But rather than just watching the world go by they decided to invite strangers along the journey to them. They rode the front seats of tandem bikes while leaving the rear seats open to invite total strangers to join the journey and create lasting friendships that crossed all language, cultural and religious barriers. For over eight years the journey took us through 81 countries and turned over 1,000 strangers into friends. We carried extra riding clothes, helmets and camping equipment ready to share with strangers that soon become friends once they made a few pedal strokes on the tandem and accepted the Worldwide Invitation to Ride. Inviting strangers to share a slice of life and enjoy the cycling experience was our small gesture of peace, trust, acceptance and unconditional love. If they needed some financial assistance we offered to pay their food, accommodation and bus ticket back to their home town for extended tandem adventures. Each day was a mystery--who we would ride with, where we would eat and sleep, and what we would learn about these exciting new cultures. Our Vision is that by sharing the beautiful stories and images collected on the journey we can inspired the courage to connect in others around the world. Live Big. Give Big. Love Big. : In the end, the core values taken away come down to these six words. It represents an intention for both balance and courage to simultaneously live our personal passions, make contributions to our global community and love unconditionally. This philosophy organically led to exciting new grassroots projects while out pedaling the planet. Check em out! Be the Change: "BE the change you want to see in the world"
With equipment donations from Panasonic we documented the expedition with professional video, audio and photography equipment to bring the cultures, friendships and magic of Peace Pedalers to millions around the world. We have over 950 hours logged and ready for editing on 72 TB of high end hard drives. Please contact us with any contacts or desires you have to collaborate. We're now kicking off our next big social venture called LuDela with a grand vision to illuminate the minds of children in need around the world with millions of books while brining safer, more enjoyable candlelight to the developed world. After 8 years and 81 countries we're finally home. And we're happy to announce our book A Bicycle Built for Two Billion is done! Check the book website for order info, book tour info and more! As for the TV series "Peace Pedalers: Africa", it's on the back burner but I have hope we'll find the right co-production partner after we flush out the core stories in the eBook and feature film creation process. Finally, Good Hope School is still growing and the students are all doing very well. We're building a new library and large bathroom complex to support the growth. 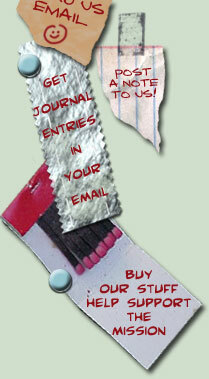 The detailed journals and photos pages have all our past adventures. 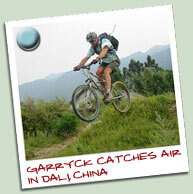 Enjoy the ride with your friends and families and learn about our planet and it's rich cultures. Check out the projects page to learn about charity projects we helped launch and consider getting involved. Big thanks to Panasonic for the cameras!